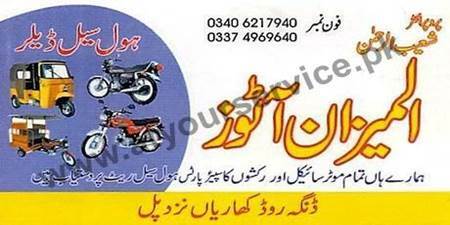 Al Meezan Autos deals in spare parts of motorcycles and rickshaws. Al Meezan Autos is located on Dinga Road, Kharian. It deals in spare parts of motorcycles and rickshaws.